Here's the deal with the "spread or dessert?" debate that's currently raging across the internet: As NPR reports, the Food and Drug Administration (FDA) has categorized Nutella as a "dessert topping" since 1993. However, Nutella's parent company, Ferrero, has apparently long believed that Nutella should be categorized as a "spread," more in line with jams, nut butters, and honey. So, in order to come to a final determination, the FDA is offering an open commenting period on their website where you can put forth your thoughts on what, exactly, Nutella is. That's right: You could help decide the fate of this internationally famed foodstuff. I'll be honest: When I think about dessert toppings, I tend to think of hot fudge, marshmallows, and caramel sauce — you know, the kinds of things we tend to pile on top of our ice cream sundaes. And indeed, that's where the 1993 determination actually came from: According to NPR, it resulted from "a significant number" of American consumers who reported on a survey that they used Nutella as an ice cream topping. At the same time, though, let us not forget such favorites as peanut butter and Nutella sandwiches, Nutella and banana fold-overs, and Nutella on toast — things we tend to think of as snacks, rather than desserts. 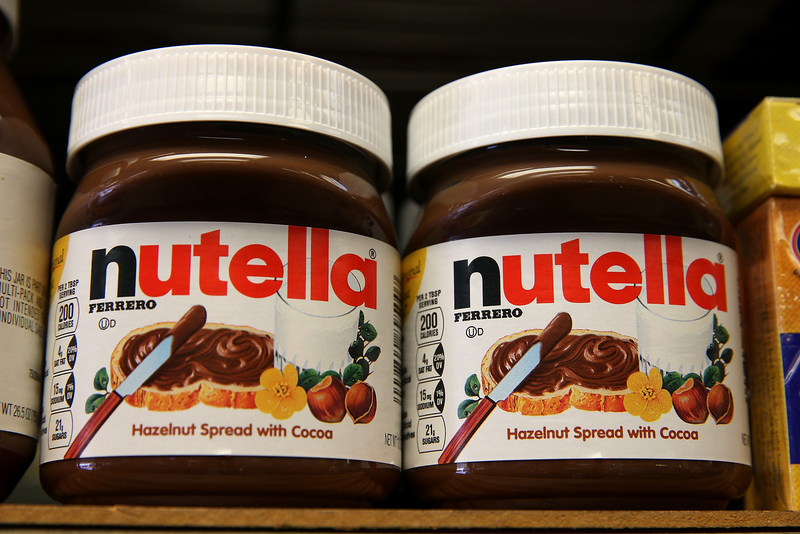 It's easy to see from whence the confusion over what, precisely, Nutella is could arise. Apparently the distinction matters quite a bit for the FDA — not because of a label game, but because changing the classification from "dessert" to "spread" would also change the recommended serving size. As Rheanna O'Neil Bellomo explains over at Delish, the current recommended serving size of Nutella (which contains sugar, palm oil, and cocoa as three of its main ingredients) is two tablespoons. If the FDA reclassifies Nutella as a "spread" instead of a "dessert," they'll likely have to move the recommended serving size from two tablespoons down to one. Now, what makes this extra interesting is that the FDA is allowing us consumers to actually comment with our feedback. That's right: We can use our voices and advocate for what classification we think Nutella deserves. From now until Jan. 3, you can submit your comments either online or via regular mail (as in, the postal variety, not the e-version). And don't worry: You can request to keep your comments confidential or agree to have them used publicly. Of course, whether or not you follow FDA guidelines and serving size recommendations is totally a personal decision, no matter what the final determination actually ends up being. The key is that consumers have the full information we need to make the best choices for ourselves as individuals. And ultimately, I'd like to ask the following question: Does it matter? If you enjoy spooning a few bites of happiness out of the Nutella jar, do we really need to concerned about whether it's a spread or dessert? You decide. And make your voice heard here!